It is perched at the top of the most beautiful mountain village of St. Paul de Vence. Here are some pictures we took at that time. It is such a unique and unusual place; and it is still, 31 years later, is virtually unchanged. Actually, it is almost unchanged from the 1920’s. 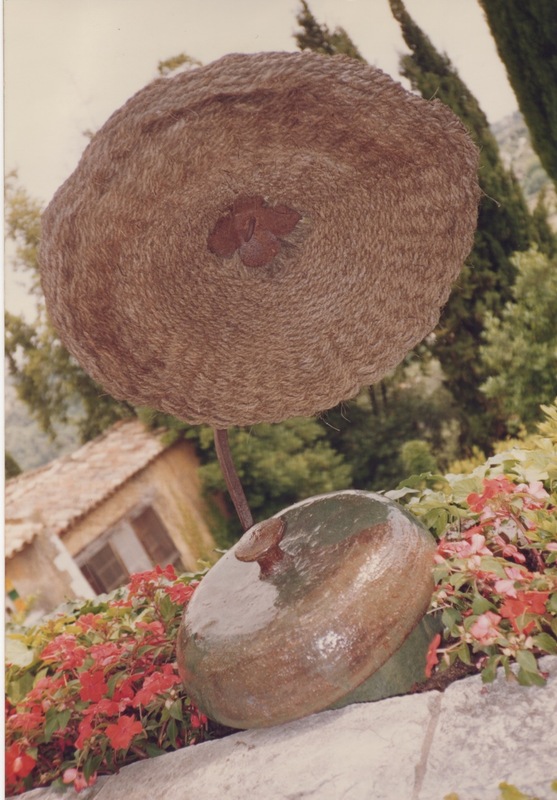 It exemplifies all of the things we love about Provence. In two words, simple elegance. The village is of native stone, built over centuries. The simple chaises could not be improved upon(in my opinion). The light wood and canvas covers blend beautifully with the ancient stone walls. The umbrellas and chairs and tables of the cafe are simple and elegant. Nothing “sticking out” and calling attention to itself! This is now an “endangered species” !! “Understated elegance” An endangered species! I will stop my rant……and resume pictures of what I LOVE!! and interesting to me…….I always have! 31 years is a long time!! 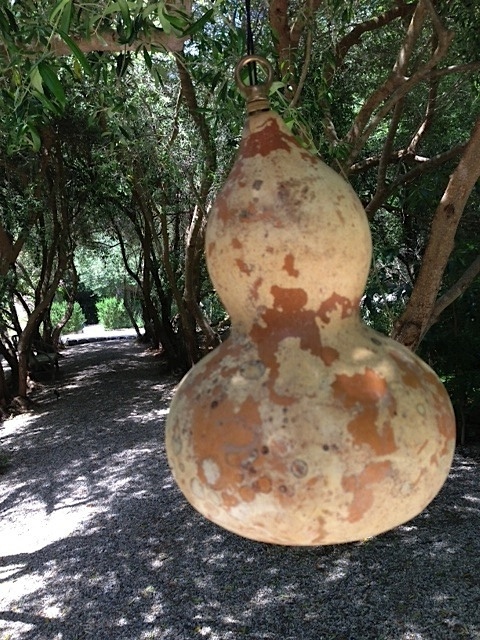 The terra cotta pots and olive jars are made from the local soil. Natural linen cloths and napkins are undyed! The tablecloth and napkins are natural linen. We both felt completely relaxed and at one with the environment. We are not unusual. That is why, I believe major artists congregated here! MAJOR ARTISTS!!! I actually saw doves flying in and out of the dovecote on the top of the next door building. The oil was poured through these to “filter out” pieces of olives, to fill up the olive jars with the “filtered olive oil”. Here I am! 31 years ago! Here he is! 31 years ago! (the handsome devil)!! reproduce in some way! Authentically! (I asked all these questions about pigments……stucco,; lime wash)…..etc. etc.! This one did not have its bulb attached; but most did. No faxes, no email. I just found these pictures! Thank God for “scanning” and all the rest of it! light fixtures….they are camouflaged into the tree! these remain my favorite “down lights” in trees! EVER!! Here I am in 1982!! I thought I could have some made! found someone in Santa Barbara to make them! Now I order them for my clients! (and any of you who want them)! in trees I have ever seen! It is 12 inches high…..(at most)! 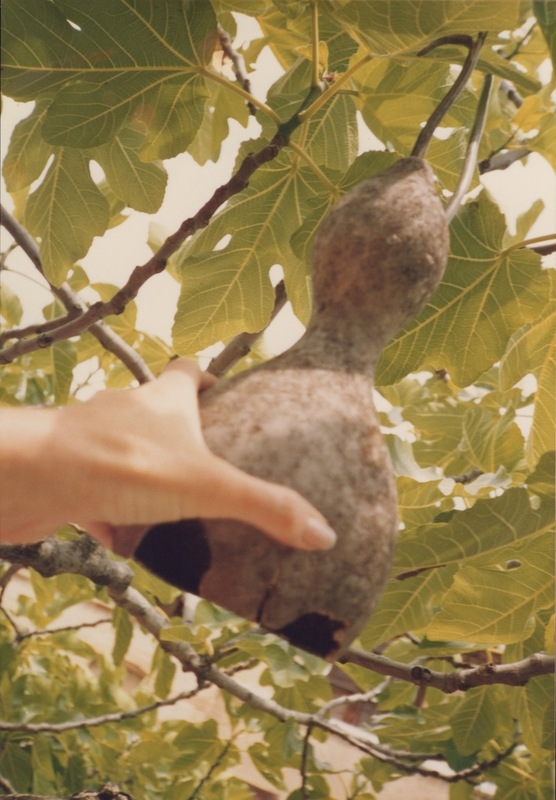 It is so lovely…..and when it is hanging in a tree…..it looks like part of the tree! I love the close-up of the “patina”!! they look….just like the ones I photographed 31 years ago! They are now hanging from the trees at my favorite restaurant……and from trees of my clients! A lovely story of a timeless place! in Montecito reminds us of Provence; and our first trip there! We came to Montecito first , together, on our honeymoon! Yikes! 1978! We decided we wanted to live here! It took 20 years……but we got here 16 years ago with a “vacant lot”!! This was our inspiration! This town, this terrace, and this Inn and Cafe!!! We went back! This was the “beginning”! 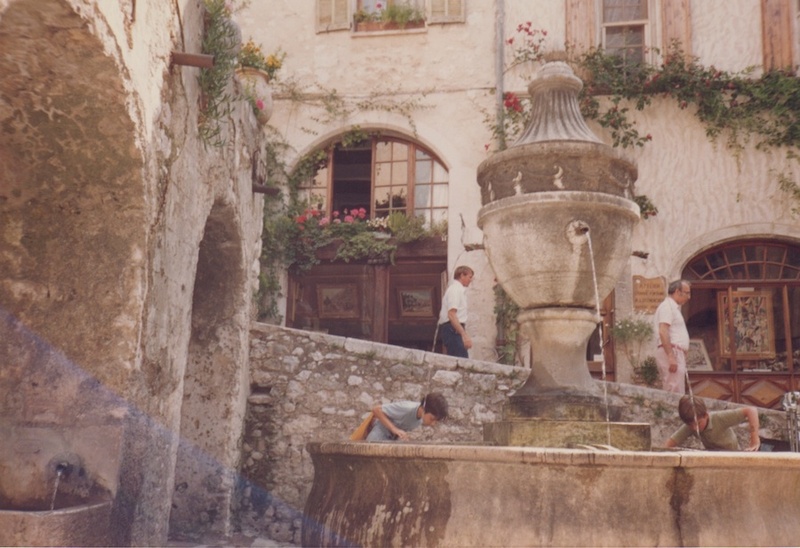 Here is a good article to read about the history of La Colombe d’Or!! It is a fascinating place! I hope this will inspire you ! Dive into Summer, my favorite pools! With the onset of Summer in full swing, I can’t help but get excited for the season. I avoid sitting in the sun; but I have always loved unusual pools and pool houses. They can make or break an outdoor space(usually, unfortunately, break), so I thought I would share with you a few pools I have seen that I am absolutely in love with.